EDAC stands for evidence-based design accreditation and certification. 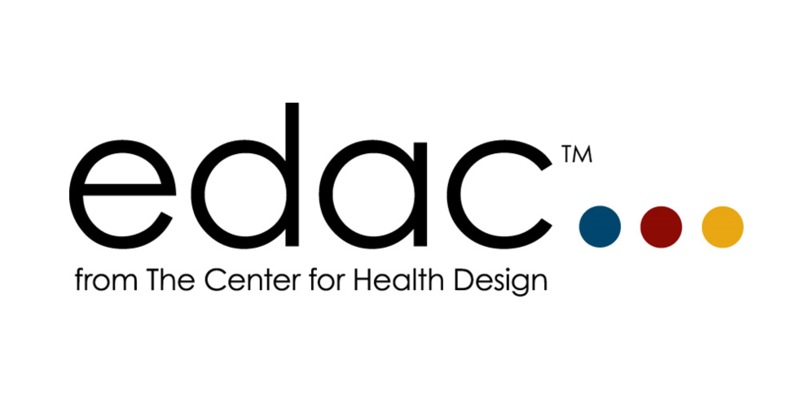 Become EDAC-certified to gain an in-depth knowledge of evidence-based design and become part of a global community of forward thinkers who envision a world where all healthcare environments are created using evidence-based design. Southwest Centre for Forensic Mental Health Care, Parkin Architects, Atrium, Shai Gil Photography, Inc.
You have a method for developing design solutions that are rooted in research to help achieve a client’s goals. You champion innovations that are good for the triple bottom line. You support new ideas in healthcare design that align with organizational goals and are likely to achieve the desired results. You are on top of the most significant, emerging discipline within the healthcare design profession and can help carry the teachings forward. You understand the importance of research-based design decisions and can maintain the integrity of these decisions during the engineering and construction processes. You use research to inform the product development process and support improved outcomes in healthcare setting. The exam is a two-hour, 110-question multiple-choice exam. The exam’s five sections will test you on evidence-based design in healthcare, the research process, the pre-design process, construction, and occupancy. The exam tests your ability to practice the EBD process—not the evidence itself. Each are available for purchase individually or as a set. Buy the entire series and receive $25.00 off. Practice taking the EDAC exam with this free sample exam. Available on demand, you can view each video as many times as you want during the selected time period. Click here for additional study materials. The requirements to maintain your EDAC certification involve six hours of approved continuing education units (CEUs) in evidence-based design every two years. We make it easy for you by offering an extensive list of approved continuing education courses available in person and online to develop your EDAC knowledge base. Click here to view an EDAC blog.